Earn up to 2,300 reward points. A truly groundbreaking, short-scale 21 in. fretless bass with choice tonewoods. 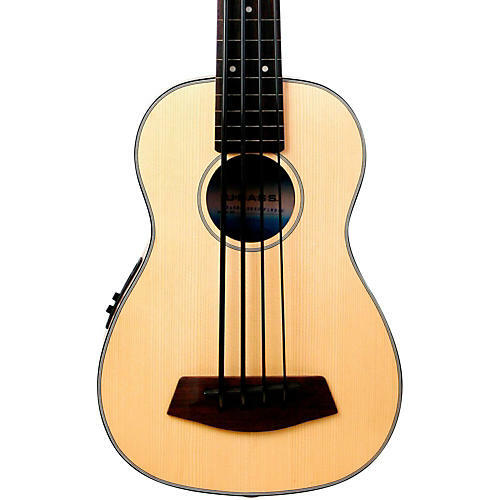 For the Kala U-Bass player, Kala offers additional visual options and adds a mid-range punch with the Solid spruce top U-Bass with mahogany back and sides. Since 2008, the U-Bass is still grabbing ears and turning heads. Praised for its colossal low end the acoustic-electric U-Bass features a new custom-designed shadow pickup system to dial in sonic boom. Includes gig bag. Take it anywhere. Order now!